Introduction: fever is one of the most common symptoms in childhood and one of complaints and most common reasons in demand for health services by the parents. Objective: to analyse parents’ knowledge and practices in managing fever symptoms in their children under six years. Methods: Quantitative, exploratory and descriptive study with a convenience sample. Data collection by questionnaire in the north of Portugal. Results: our sample comprises 145 parents, aged between 21 and 47 years old, 46.9% had a degree. Most use electronic thermometer in association with touch to assess fever, consider values under 38ºC as fever and 31.2% assume to give antipyretics with values between 37ºC and 37.8ºC. The antipyretic medication is the preferred intervention of the majority of the parents. In association to antipyretic medication they appeal to non-pharmacological intervention, the most used is the decrease in the amount of clothes. Parents believe that the untreated fever will be able to cause meningitis, coma, mental retardation and even death. Conclusions: the results show a clear lack of parental knowledge about how to care a child with fever: consider relatively low values of body temperature as fever and as value of reference for antipyretic administration, have erroneous beliefs about fever and consequences it can have on children’s health. We can conclude that health education interventions targeted are necessary for parents to learn how to effectively manage the symptoms of fever in child. de medicina ambulatorial e hospitalar (pp. 375-380). São Paulo: Editora Manole Lda. (Eds. ), Wong fundamentos de enfermagem pediátrica (7ª ed., pp. 706-786). Rio de Janeiro: Elsevier Editora Ltda. Bowden, V., & Greenberg, C. S. (2008). Pediatric nursing procedures (2ª ed.). Philadelphia: Lippincott Williams e Wilkins. Broom, M. (2007). Physiology of fever. Paediatric Nursing, 19(6), 40-44.
e sintomas ao diagnóstico diferencial (pp. 463-487). Lisboa: Lidel. Crocetti, M., Sabath, B., Cranmer, L., Gubser, S., & Dooley, D. (2009). Knowledge and management of fever among latino parents. Clinical Paediatrics, 48(2), 183-189. doi: 10.1177/0009922808324949. El-Radhi, A. S., & Barry, W. (2006). Thermometry in paediatric practice. Archives of Disease in Childhood, 91(4), 351-356.
diverse populations. Journal of Paediatrics and Child Health, 46, 583-587.
department. Clinical Pediatrics, 49(6), 530-534. doi: 10.1177/0009922809355312. Powell, K. R. (2005). Febre. In R. E. Behrman, R. M. Kliegman, & H. B. Jenson (Eds. ), Nelson: Tratado de pediatria (17ª ed., pp. -890). Rio de Janeiro: Elsevier Editora. Rodrigues e Rodrigues, L., Monteiro, T., Neto, T., & Rodrigues, C. (2010). Conhecimentos e atitudes dos pais perante a febre. Seeley, R. R., Stephens, T. D., & Tate, P. (2005). Anatomia & Fisiologia (6ª ed.). Loures: Lusociência. development. 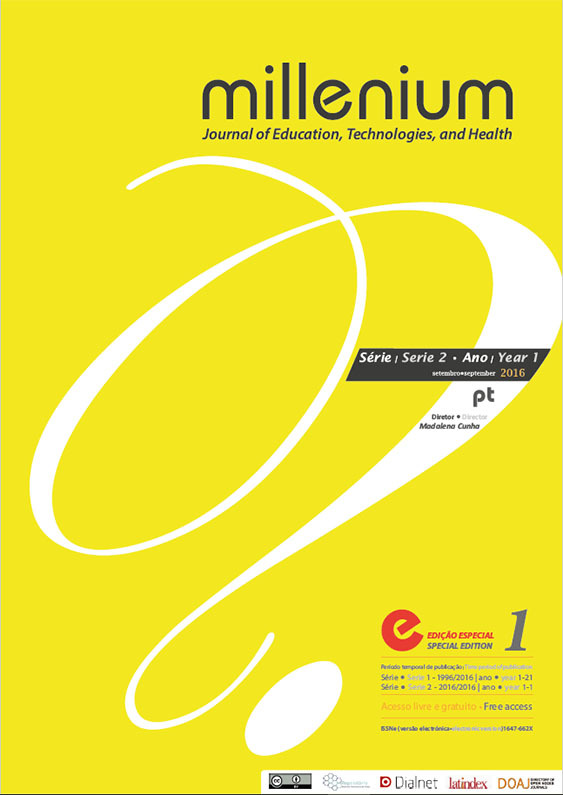 Journal of Advanced Nursing, 63(4), 376-388. doi: 10.1111/j.1365-2648.2008.04721.x. toward febrile seizures. Clinical Paediatrics, 47(9), 856-860. doi: 10.1177/0009922808319961.